Combine Polar Blast Blue Hawaiian Punch, Sprite, and Pineapple Juice mixture in large punchbowl, and stir. Add scoops of Vanilla Ice Cream right before serving and stir for …... "Blue Punch: 1 large container of blue Hawaiian punch 1 Sprite or Ginger Ale 2 cups pineapple juice Instructions Mix together all ingredients in a punch bowl or dispenser. Serve cold with ice cubes. 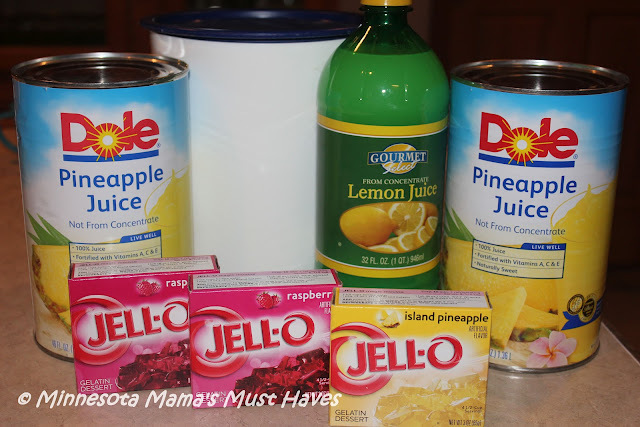 Notes: add some flavored rum or vodka!" Arguably the simplest pineapple juice cocktail to make is the jack hammer, the counterpart to the screwdriver. Made with pineapple juice instead of orange juice and vodka, it's poured over ice into a … how to put a hole in glass without a drill Pour Blue Hawaiian Punch and Pineapple Juice into punch bowl, and give it a stir. Add 10 scoops of Vanilla Ice Cream to punch bowl. Pour 2-liter of Sprite over ice cream scoops and watch it foam! To serve, divide the Nerds® candy between the three fishbowls and place at the bottom of the bowl (like gravel!). Add ice, and arrange the fish around the outsides of the … how to make resine jewellry with dried flower Strawberry Breeze Juice Concentrate Pineapple Orange Juice Concentrate Lemonade Juice Concentrate Limeade Juice Concentrate Passionfruit Juice Concentrate Grape Juice Concentrate Plus fruit to complement the sparkling juices. To prepare this drink, take 2½ oz. pineapple juice, 1½ oz. passion fruit juice, ¼ oz. lemon juice, and ¼ oz. grenadine. In a shaker, mix all the ingredients together and shake properly. Strain the drink into a tall glass filled with ice and a cherry at the bottom. Serve the drink with a slice of pineapple as garnish. 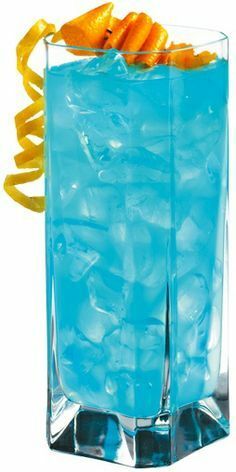 "Blue Punch: 1 large container of blue Hawaiian punch 1 Sprite or Ginger Ale 2 cups pineapple juice Instructions Mix together all ingredients in a punch bowl or dispenser. Serve cold with ice cubes. Notes: add some flavored rum or vodka!" Blue Year's Eve Punch drink recipe made with Blue Curacao,Coconut Cream,Pineapple Juice,Rum,. How to make a Blue Year's Eve Punch with all the instructions and ingredients. How to make a Blue Year's Eve Punch with all the instructions and ingredients.